On Thursday, Bitcoin prices burst through the $4,500 level for the first time before retreating slightly in the afternoon. However, any retreat in Bitcoin prices is a good opportunity for long-term investors to add more of the cryptocurrency to their portfolios, as Bitcoin prices could reach $1 million. The market capitalization hit a staggering $73.6 billion, as crypto investors grew optimistic that more countries around the globe will begin to embrace digital payment networks. In addition, developers behind SegWit2x said that they will implement the second phase of the digital fork in November 2017. Bitcoin prices have increased by roughly $1,000 over the last nine days, as traders grow increasingly hopeful that it will become more accepted in mainstream finance. Still, there have been concerns expressed about the rise of the currency over the last few months. 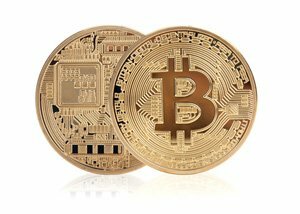 Goldman Sachs analyst Sheba Jafari predicted that Bitcoin was on the way to topping out at $4,827. The analyst said that prices could then quickly be cut in half, falling as low as $2,221. That bearish sentiment wasn't the only voice making noise on Thursday. Peter Schiff said that Bitcoin was in a "bubble." The Bitcoin Cash price rallied more than 30% on news that a mining pool called BitClub Network mined an 8MB block on the BCH blockchain. This was the largest block found so far on the BCH chain. The price of Ethereum was mostly flat, trading at roughly $301. Today, the firm Blockchain announced it had developed a wallet for users to hold Ethereum. The decentralized exchange has a far better reputation for security and is much more difficult to hack. The decision to include Ethereum is a sign that the firm believes there will not be one universal cryptocurrency in the future. NEO was the worst-performing cryptocurrency on Thursday. A sell-off has followed a meteoric rise this summer as the "Ethereum of China" continues to generate headlines. According to reports, a blockchain ad exchange announced plans to join NEO's "smart contracts" system. The company has its eye on Bitcoin and Ethereum and plans to rely on greater acceptance of smart contracts, which can be regulated and audited under certain conditions. Somehow my Internet stopped and I could not get anything goes after that.